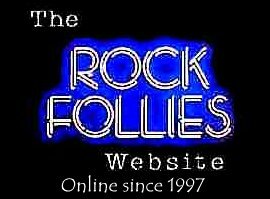 The The Rock Follies Website. A tribute to the classic 1970's TV programme. Written by Howard Schuman, with music from Andy Mackay. plus Sue Jones Davies, Beth Porter, Little Nell and many more stars. Pictures, Lyrics, Cast Lists, Celebrity Interviews and Much More.